Eurocorps is a unique multinational headquarters (other NATO Rapid Deployable Corps being only national, bi-national or tri-national). From the start as a French-German Corps, the doors were open for other nations with the same rights as the founding nations. Between 1993 and 1996, Belgium, Spain and Luxembourg joined the Headquarters. Greece, Italy, Poland, Romania and Turkey are Associated Nations of Eurocorps. The mixing of nationalities is visible in each cell, section, platoon, company, branch or division. All men and women of Eurocorps wear the same beret. Only the branch chiefs are “flagged” – meaning attributed to a specific nation. The branch members come from all the Framework Nations and also Associated Nations. The two-year rotation plan also allows each Framework Nation to occupy the key positions within the Command Group. All the decisions are taken on a unanimous base by the Framework Nations in the Eurocorps Common Committee. The participation of Associated Nations to any Eurocorps commitment is systematically submitted to the approbation of each given nation’s authorities. French, German, Belgian, Spanish, Luxembourg, Polish, Italian, Greek, Turkish and Romanian soldiers work all together in a true multinational spirit. This creates a real Eurocorps multicultural cooperation which benefits to its members by allowing them to experience a truly European atmosphere. 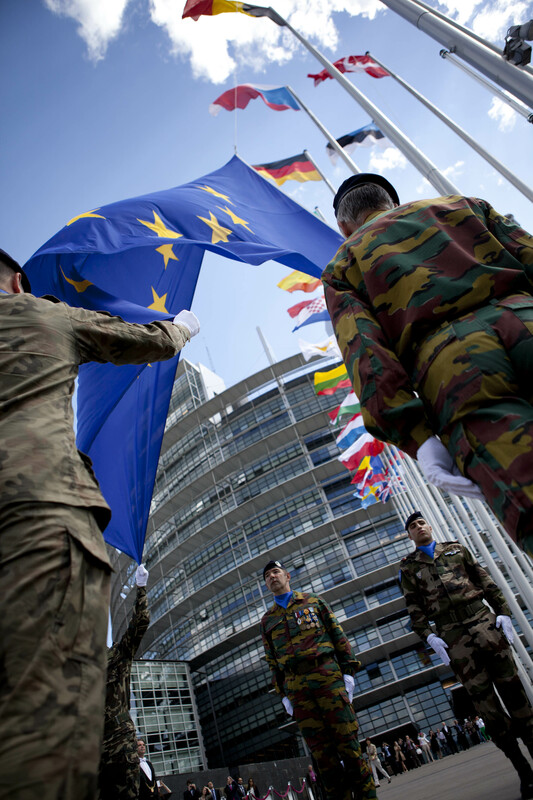 Located in Strasbourg, Eurocorps is close to the European Union’s and NATO’s decision-making centers, which enables it to have privileged relations at political and military levels.